I'm working this New Year's Eve. That suits me fine since I'm a little sad that the man of my dreams, Holmes Richardson, has left to spend New Year's Eve with his fiancé in Chicago. I know, I know. I may not be perfect or brilliant, but I am very sensible. I pride myself on being down-to-earth. I have never been one of those women who wail over men. But ever since I moved back to Wagtail Mountain and ran into Holmes, I cannot get him out of my mind. It doesn't matter that we were childhood friends or that he was my first crush. But every time I see him I get a little tingly and giddy. It doesn't matter that our grandmothers are best friends. Or that I think he wants to move back to Wagtail. This just isn't like me at all! I'm not the type to chase after someone else's boyfriend, let alone some else's fiance! But I get a little sick to my stomach when I think about another woman getting a kiss from Holmes at midnight. Our grandmothers have arranged for a matchmaking event in Wagtail. Complete with a professional matchmaker! Participants are supposed to bring their cats and dogs to help them make matches. I just don't have the heart to participate. On the other hand, Holmes is engaged and I should accept that. Right? What do you think? Should I keep hoping that Holmes will break off his engagement? Or should I participate in Animal Attraction and try to meet someone else? Have you read MURDER MOST HOWL? I'm giving away two copies to kick off the New Year! To enter, leave a comment with your email address so I can contact you. Good Luck! I have not yet read Murder Most Howl but I would love to—thanks for the chance to win a copy! Happy New Year to all! I think participating in Animal Attraction is nice. Thanks for the chance. Happy New Year! I hope you have lots of best sellers. I love murder mystery settings in books (would love to do one in real life). I haven't read Murder Most Howl, but thanks for the giveaway. And I just love these covers. Animal Attraction - fun idea. 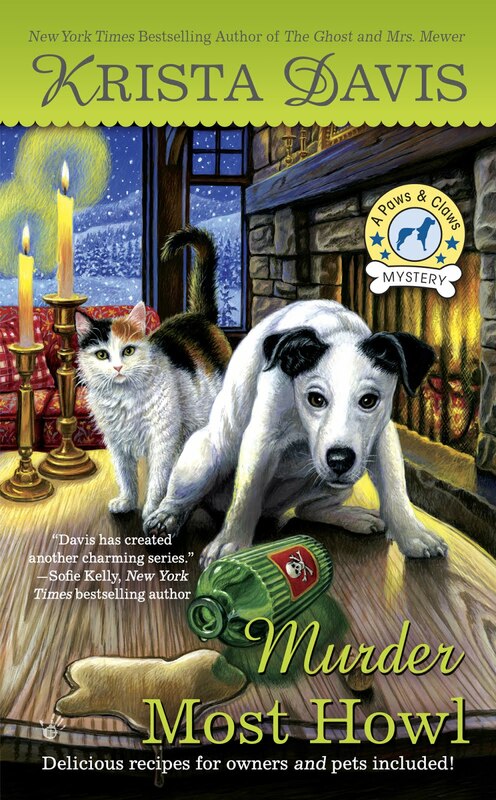 I haven't read "Murder Most Howl", but it is on my TBR list. Thanks for the chance. Have a Happy New Year! Have not had the pleasure to read Murder Most Howl. As to the question, absolutely Sophie should to to the Matchmaking event. One never knows when a little animal magnetism will come into play. And Holmes is obviously not as smart as he should be. Had a howling good time reading the excerpts..can't wait to read the whole thing! Thanks for the opportunity! Happy New Year Krista. I haven't had the pleasure of reading your book yet but would certainly love to. I hope Holly does attend Animal Attraction just for the fun of seeing how it works out. Thanks for the opportunity to enter to win a copy of your book. My fingers are crossed. Would love a copy!! Can't wait. I haven't read it. Happy New Year!! I love the characters' perspectives in this blog. Thank you for the fun! For me...break off the engagement! I love finding New books to read! Murder Most Howl sounds like a howling good read. I would love to. Thank you for the chance. I just want to say I've read Murder Most Howl and I loved it. I love all of Krista Davis's books in both of her series. Happy New Year! No I haven't read it yet but have one of the others from this series in my TBR (for a loooooong time). I'd be thrilled to add this one to that pile. I haven't read it yet, thanks for the giveaway. No, I haven't read Murder Most Howl and Yes, attending ANIMAL ATTRACTION should be considered. Thanks for this giveaway. Oh, Krista. I do love your series! Happy New Year. bobwiesmann at gmail dot com. 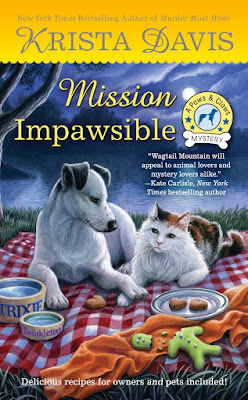 I haven't read Murder Most Howl and I would love to visit Wagtail. Happy New Year! I have not read any of her books! They do look great though. I'd love to win this one. Thanks for the giveaway and happy New Year everyone. I adore this series though I haven't read this book yet (but I really want to)! I am wishing for Holmes to end his engagement. Happy New Year!